Dr. Sarah Lightman is an Honorary Research Fellow at Birkbeck, University of London. She is currently co-editing Bodies and Borders in Jewish Women’s Comics for Syracuse University Press (2020), and co-editing a special issue of Feminist Encounters: A Journal of Critical Studies in Culture and Politics (2020). To accompany the launch of The Book of Sarah she will be hosting a solo show of the artwork in the graphic novel at The Koppel Gallery, Poland Street, Soho, and co-chairing the one day symposium, Feminism and the bible: contemporary responses in art, literature, poetry, film, theatre and comics at Birkbeck, University of London. 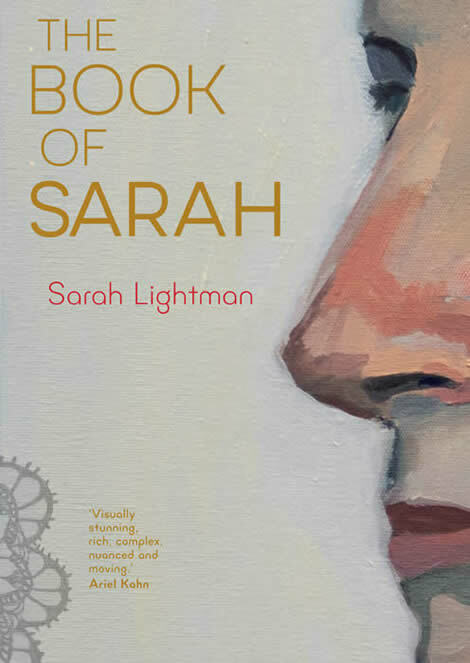 Sarah Lightman noticed that The Book of Sarah is missing from the Bible, so she set out to make her own. In this stunning visual autobiography from NW3 she questions religion, family, motherhood and what it takes to be an artist .